Mortgage Loan Modification – What? In Rialto, California, a Wells Fargo & Co. customer, Richard Cormier, made 8 mortgage payments on a trial mortgage loan modification and on Oct. 12 they told him his home was going to be auctioned at the end of the month. Why? Wells Fargo & Co. informed him that there was some paperwork not in his file. Can’t believe that? Well, you’d better, because this happens all too often with mortgage loan modification paperwork. Richard stated, “Every time I try to do something they ask, it’s never right”. Mortgage Loan Modification – Hopeful News For Some? A spokesperson from Wells Fargo, which is the largest mortgage lender in the U.S., said the mortgage loan modification will be approved. The Hopeful News, if you want to call it that, is that as of June, according to Tom Goyda, a company spokesperson, Wells Fargo has started to designate one employee to take care of a mortgage loan modification from beginning to end. Goyda said this was implemented so that a homeowner “knows who they’re working with”. Under HAMP guidelines, a final sale for a foreclosure is banned until 30 days after a homeowner has received rejection notification. The foreclosure sale can’t happen until servicers provide foreclosure attorneys with written certification that all mortgage loan modification efforts have been implemented. Bank of America’s Bauwens said in an e-mailed statement , “Our normal policy is to continue with the foreclosure process while we review a customer for a loan modification,” and also stated “If we have not finished our review, we will postpone the foreclosure sale automatically.” However, wouldn’t you agree that the foreclosure process should be stopped when someone is applying for a mortgage loan modificaton? It can take as long as nine months for many lenders to approve a mortgage loan modification, something that shouldn’t take more than 45 minutes, said Rick Rogers, who is an attorney in Bannockburn, Illinois, who represents homeowners. I offer a Free – No Obligation Consultation And Preliminary Audit of your mortgage loan modification or other situation as a first step to getting you help to stop foreclosure. Mortgage Loan Modification – Are You On That Merry-Go-Round? During a recent hearing members of a congressional panel responsible for monitoring the government’s bailout programs gave alarm and frustration over the possible repercussions of the home foreclosure crisis. This hearing conducted by the bipartisan Congressional Oversight Panel was initially to examine the Treasury Department’s foreclosure prevention programs designed to help the foreclosure crisis. But panelists actually focused much of their attention on the fact that some of the nation’s largest mortgage Servicers regularly submitted faulty and fraudulent foreclosure paperwork. Sadly, the foreclosure crisis continues to rise. Recent month’s revelations caused lenders such as Bank of America, Ally Financial and J.P. Morgan Chase to stop foreclosures temporarily and giving some hope that the foreclosure crisis was slowing. 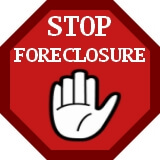 The uproar also has triggered numerous state and federal investigations, which led more homeowners to challenge the legitimacy of their foreclosures and prompted large investors to threaten lawsuits and insist that big banks purchase back failing loans during this foreclosure crisis. However, some members of the panel appeared skeptical, noting that if lawsuits from large investors grows, big banks could lose billions. “It is not a plausible position that there is no systemic risk here,” said panel member Damon Silvers, director of policy and special counsel to the AFL-CIO. Foreclosure Crisis – what’s next? Over a month ago Bank of America declared a foreclosure review that would give customers confidence that they were being treated fairly. However, there are a lot of questions yet to be answered. America’s largest bank, B of A, put a freeze on foreclosure sales in 23 states last month and then broadened the freeze to nationwide a few days later. The bank continues to review its process stated Rick Simon a spokesperson from Bank of America. Bank of America said it is going over their procedures and individual cases, and has admitted that it has changed some practices as a result. However, there are a number of things Bank of America has not disclosed: B of A hasn’t released what changes have been made. B of A has been vague concerning the number of foreclosure files it has reviewed, the number of errors and the types of mistakes it has found, and not to mention, how long it may take to finish the process. Needless to say, Bank of America, hasn’t even addressed if foreclosures thus far have even been legal. Simon says that statement is founded upon a review of customer’s financial details, such as borrowers’ payment history and how much debt they have. Bank of America stresses that borrowers who are not behind on their loans aren’t getting tossed out. By Bank of America’s assessment a third of the properties foreclosed on and sold in the third quarter were empty, and the homeowners were on average behind on monthly mortgage payments by eighteen months. Do you have a Bank of America loan? Yes you can now find Help to Stop Foreclosure updates on Google Buzz. Find out What you need to know about recent events and news on foreclosure by following Help to Stop Foreclosure on Google Buzz. Check out the profile and Buzz updates on the following Google Buzz website for Help To Stop Foreclosure.